Can my child try the game first before signing up? Yes! 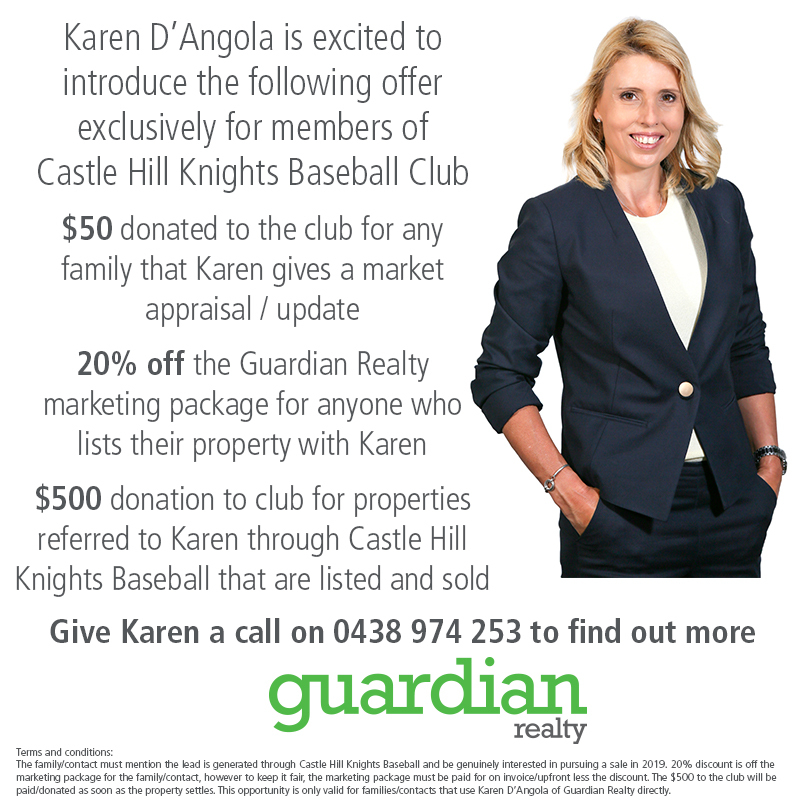 Castle Hill Knights Baseball club provides ‘Try Tee ball’ days in August at Castle Glen Reserve for just this purpose. Signup for our newsletter or Like us on Facebook so you get notified of our ‘Try Tee ball’ dates once they are set. On the days, your child needs only wear sandshoes and sports gear. Everything else will be provided for. When does the Tee ball season start and finish? Tee ball for U8 age groups and below commence mid-October, Tee ball for U9 age group is likely to start a little earlier in mid-September; both finish at the end March in 2015. 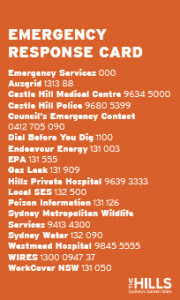 All games are played on Saturday morning at either 8.30 or 10.30 at various grounds throughout the Hills district. For more information, visit Competition Info – Juniors. My child is 6, is he/she too young to play? Not at all. Many children begin when they are 5; some begin at 7. The club does find however, that children younger than 5 have a harder time grasping the game. Even though Tee ball officially begins at the U8 level, the club caters for younger kids by grouping them in different divisions between the ages of 5 to 7 years. For more information, visit Competition Info – Juniors. What is the competition structure and what age groups do they apply to? The club structure, age groups and key dates/times for Juniors are clearly described on the Competition Info – Juniors page. Is there training involved and how often do they train? Every team does train once a week. All training sessions are held at Castle Glen usually after school. The exact time and day of your team’s training will be up to your coach, who will try to pick the most suitable for all attendees. What if my child can’t make that team’s training session? Ultimately, It is in the best interest of your child that they attend training. If your child cannot make the allocated training session, please contact your coach to determine the best course of action. Worst case, it may be that the club would need to find another team which would better suit you child’s needs each week. Can children who are friends or who attend the same school play in the same teeball team together? Absolutely! Our goal is to ensure your child’s experience with baseball is an enjoyable one. Where able, we will always try to place kids with their friends to ensure they are as content as possible. Will my child be actively involved in the game every week? Yes! This is the beauty of baseball. Every child gets the opportunity to bat, run, field and catch throughout a game. How long does a game go for? A game’s duration is around 1.5 hours and starts at either 8:30am or 10:30am, depending on the draw for that day. Usually, the team is expected to turn up 45 minutes prior to the start of a game for practice and warm up. (eg. players should arrive at 7:45am for an 8:30am start). What is the cost and what equipment do I need? The cost varies per competition / age group , however for Tee ball it is approximately $125 (see registration details for current season/costs). 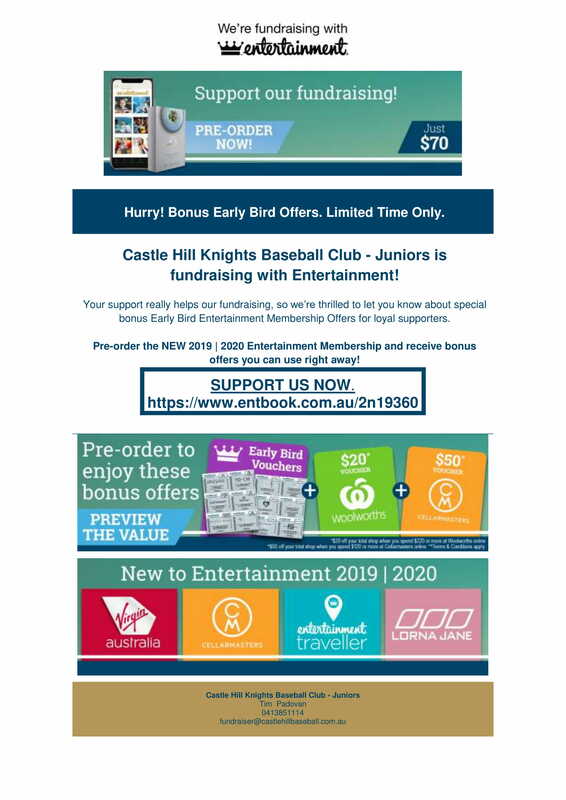 Your child will need a Castle Hill Knights baseball cap, white long pants and green belt and a groin protector (optional). Shirts will be provided. Tee ball players can wear a comfortable pair of sandshoes. Mod ball players would need to purchase baseball cleats separately. Gear can be viewed online and purchased on registration days or from the canteen. A glove will be included the ABF start-up kit for most of our new U8 players. As for everything else, like bats and balls, etc, the club provides the rest of the equipment.